Phoenix Startup - perfect UI Kit coming with Photoshop and Sketch files. We did our best and prepared 353 highly customizable components in 14 popular categories. All the components are easy to use, well organized and 100% retina ready. You will get stylish and unique layouts looking excellently out of the box. 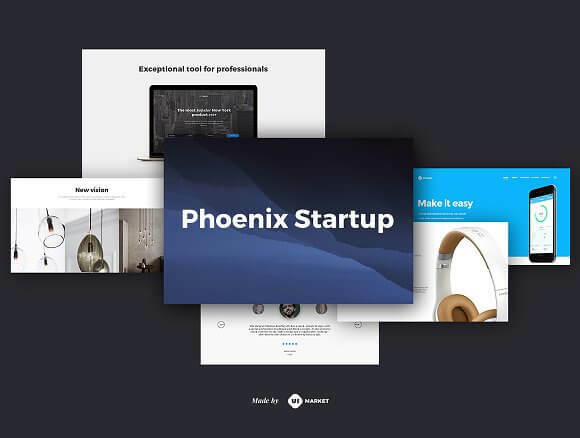 Phoenix Startup UI kit is a perfect tool for any modern agency or skilled designer.